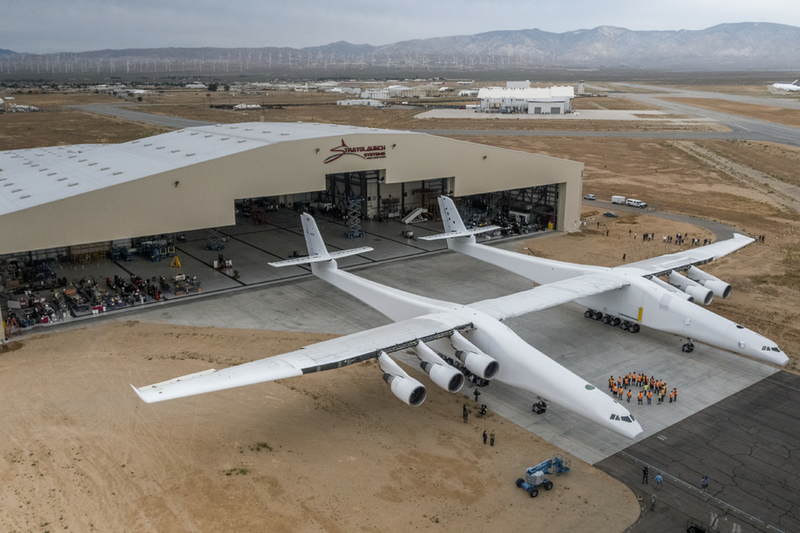 The world's largest airplane took flight for the first time ever on Saturday morning. Built by rocket launch company Stratolaunch, the 500,000-pound plane with a 385-foot wingspan lifted off shortly after 10AM ET from Mojave Air and Space Port in Mojave, California. It was a critical first test flight for the aircraft, designed to launch rockets into orbit from the air. The inaugural flight lasted for about two hours, according to the Associated Press and those on scene, and the plane safely landed without issue.